Nick Grimshaw reveals her wants Katy on the X-Factor! The 31-year-old presenter thinks the ‘Roar’ hitmaker – who was a guest judge on the show in 2010 – is the perfect example of a dedicated pop star so would love her to join him at the Judges’ Houses stage of the competition to select his live finalists. He said: ”I really want Katy Perry to do it. I think she’d be great because she’s really fun and has a full-on star persona. ”She works all the time and never complains about being tired and that’s important. You feel like she really wants it. ‘Teenage Dream’ reaches 3M sold! Katy Perry, Teenage Dream – No. 185 — The pop diva’s second Capitol Records album, Teenage Dream, floats past the 3 million U.S. sales mark, according to Nielsen Music. The former No. 1 album sold another 1,000 copies in the week ending Aug. 13, bringing its overall total to just over 3 million sold. The set was released in 2010, debuted atop the chart, and has spent 224 weeks (and counting) on the list. It spawned five No. 1 singles on the Billboard Hot 100 chart, equaling the record set by Michael Jackson’s Bad for the most No. 1 Hot 100 hits from one album. Perry’s debut for Capitol, One of the Boys, has sold 1.69 million since its release in 2008. 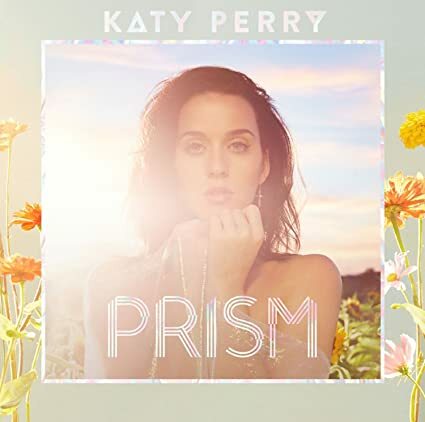 Her most recent set, 2013’s Prism, has moved 1.65 million. 6 confirmed tracks for album #4! Pre-Order ‘Prismatic World Tour’ Live NOW! The Prismatic World Tour Live is officially available to pre-order NOW. Make sure you pre-order your copy HERE! Welcome to ‘Miss Katy Perry’!